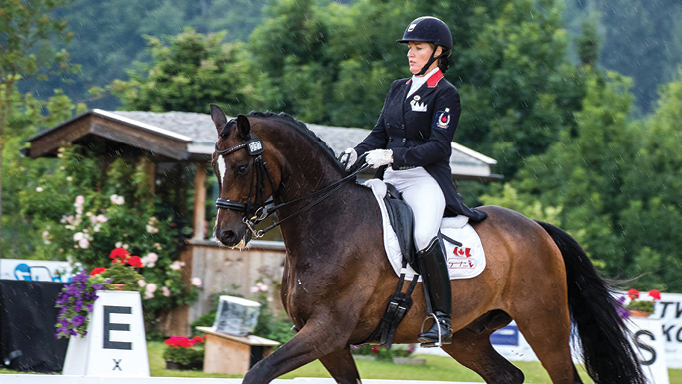 Empire Equestrian offers an array of services to the thoroughbred industry. 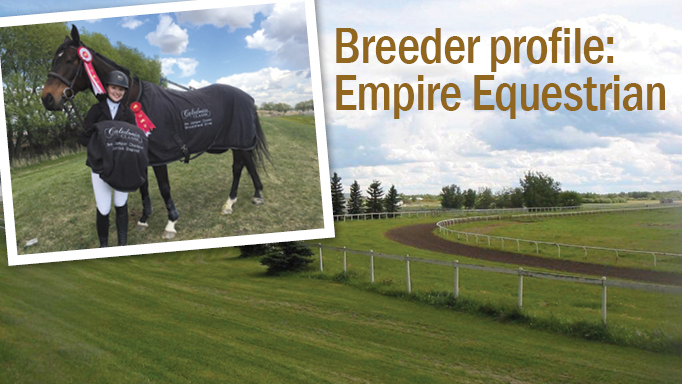 The former Empire Meadows Thoroughbred Park in Adrossan, AB was purchased by Martin and Lori Neyka in 2011 and re-named Empire Equestrian to reflect the wide variety of services it would offer the equine community. The final purchase was the end result of a dream Lori developed while working for the previous owners, the Shewchuks, during the prior five years. Although the Neykas had their own 80-acre farm at the time, Lori said that she just “really loved” the new location and an additional 80 acres was hard to resist offering a full quarter section of land. Lori and Martin put a business plan together to take to the bank and were approved to move forward with the purchase. The new site was still close to their old farm and most of the previous thoroughbred clients moved with them to Empire Equestrian. Empire Equestrian today is an extensive facility that boasts a 50-stall barn, a huge 80 x 200 indoor and a 120 x 220 outdoor arena, a grass jumper ring, a 5/8 track for conditioning and a training mill. It also offers the services of an Equine Canada jumper and dressage coach as well as exercise riders and a ‘baby breaker.” The convenient location just 10 minutes east of Sherwood Park makes it easily accessible to those in the Edmonton area. 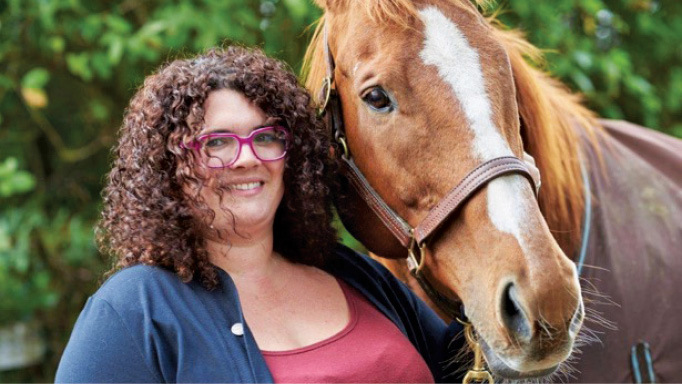 Although Lori and Martin were involved in a bit of “everything” with their previous farm including boarding, breeding and hunter-jumper, they had “no intention of getting into the stallion business.” That idea changed quickly with the purchase of Empire Equestrian and the ownership of “Hoss” or Haus of Dehere. The 22-year-old stallion previously owned by Empire Meadows Thoroughbred Park was in need of a new home and Lori took him in to offer a permanent retirement situation. The Dehere stallion was a multiple graded stakes placed runner for 5 years from 1998 through 2002. The Langfuhr son, Boadini, was added to the Empire Equestrian stallion roster in 2012 after he bowed a tendon at the track and became available as a stallion prospect. 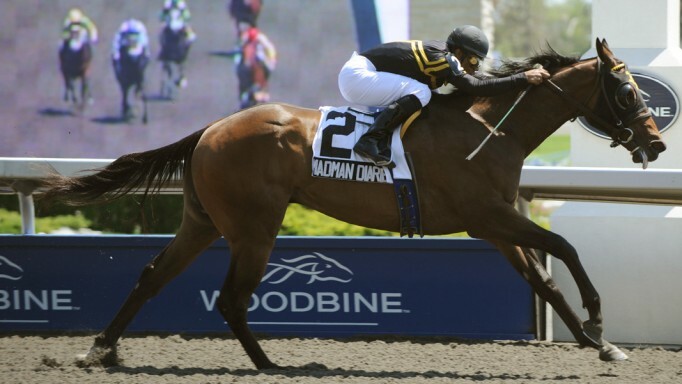 Boadini ran for 4 years at Woodbine and Northlands before the injury finished his race career in 2012. The leading progeny for Boadini is Beardini who has placed in 13 of her 17 starts including 4 wins for earnings of $50,541 to date. 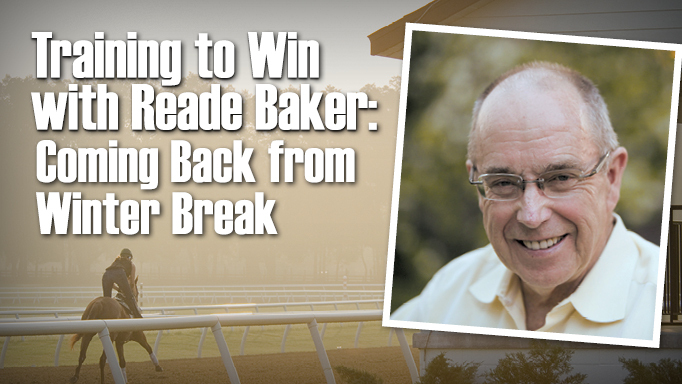 Beardini is out of an Awesome Again mare, Awesome Bear ($55,299), bred by Adena Springs. Car Talk (IRE) became another addition to the Empire Equestrian stallion roster in 2017. Lori was browsing through an internet site for stallion prospects when she came across the ad for Car Talk (IRE) and “pretty much just had to have him.” Getting him home to Alberta was not so simple however as he was located in Hermiston, OR; the fact that it was the middle of winter made for potentially difficult travel. Lori said that Car Talk (IRE) was really well behaved in the trailer however and the 13+ hour drive was successful. In fact, the best weather was when she reached Alberta. The bloodlines of Car Talk (IRE), a son of leading sire Bernardini, were the motivating factor in Lori’s determination to acquire the stallion. With earnings of $3,060,480, Bernardini was a multiple Grade 1 stakes winner with victories in the Preakness, Travers, Jockey Club Gold Cup, The Jim Dandy, and The Withers. The Eclipse Champion 3-year-old is among the leading sires in North America with a number of Grade 1 winners including Rachel’s Valentine, Greenpointcrusader, and Cavorting. He currently stands for a $100,000 stud fee. The dam of Car Talk (IRE), Mini Chat, by Deputy Minister is also the dam of $464,606 GSW Dixie Chatter and the dam of $418,391 GSW Rumor. His 2nd dam, Phone Chatter, is a GSW of $838,742 and is also an Eclipse Champion 2-year-old. Unfortunately, Car Talk was injured as a 2-year-old and Lori believes he never had the opportunity to reach his full potential as a race horse. He was sent through the 2010 Keeneland Sale as a yearling and was kept back at a reserve amount of $180,000. The first foals for Car Talk (IRE) are 3-year-olds of 2018 and his leading progeny to date is Bernie ($18,520). The Empire Equestrian breeding program focuses on making sure breeding stock has a race record or an excellent pedigree, “nothing mediocre… stick with quality.” Lori adds that she has a few mares that she will just keep and will not be bred as they just don’t meet her high standards for broodmares. She believes these mares must have superior suitability, breeding, temperament and conformation to be included in the broodmare band. This season, Empire Meadows bred their own mares and a number of outside mares to Boadini and Car Talk (IRE). Lori notes that the horse program at Empire Equestrian is, “kind of a business but it’s also a passion and the money is a bonus,” The mares are foaled out at Empire Equestrian and the foals are usually consigned as yearlings to the CTHS Alberta Thoroughbred sale either by Empire themselves or as agent. The Empire Equestrian operation is extensive with anywhere from 70 to 110 horses residing on the farm at any point in time including about 60 thoroughbreds. About 30 leave for the track each season and the remaining thoroughbreds include yearlings, foals, retired horses and broodmares. Empire has a number of clients who board their racing thoroughbreds at Empire Equestrian including established racing owners such as Almac Racing Stables – owner and breeders of the successful runners Tara’s Way, Regal Max, Sir Bronx and Tempered Sapphire. Empire Equestrian offers a vast array of services to the thoroughbred industry and the larger equine community close to Edmonton. The Neykas are fulfilling their dreams of raising, training, breeding and re-training horses in a beautiful setting on a full quarter section. Having just one eye hasn't slowed Real Trouble's second career.